New features in Indigo Renderer 3.4 include support for rendering cutaways via section planes. Glare Technologies has released Indigo Renderer 3.4, a sizeable free update to the unbiased renderer. As well as the usual performance enhancements, Indigo Renderer 3.4 adds an orthographic rendering camera; and the option to create cutaways without modifying scene geometry by rendering with section planes. And if you’re not primarily a visualisation artist, Indigo now supports normal maps. The renderer is also now natively intergrated with 3ds Max via the new Indigo for 3ds Max plugin. Indigo Renderer 3.4 is available now for Windows, Mac OS X and Linux. 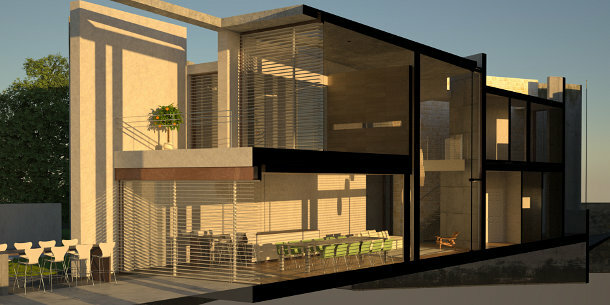 The renderer is compatible with 3ds Max, Blender, Cinema 4D, Maya, Revit, SketchUp and Softimage. The update is free to registered users of version 3.0. Until 23 November, new users can buy version 3.4 for €445 (around $570), down from the usual price of €595.